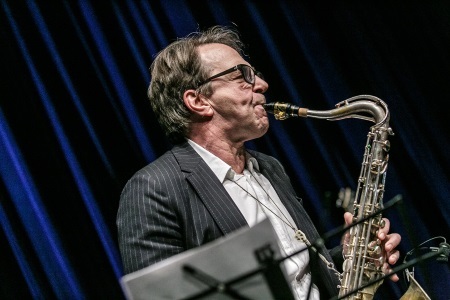 At the ICA 2018, participants can not only expect an excellent congress program with around 200 lectures and talks given by 250 speakers and an entertaining social program, but also some fine tunes. 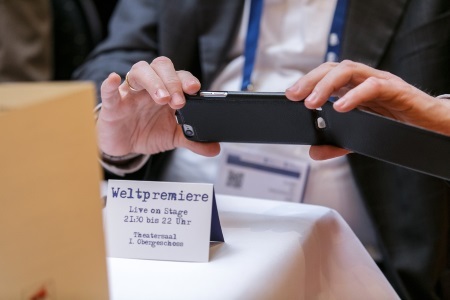 ICA 2018 also supports two music groups by members of the German Actuarial Association. 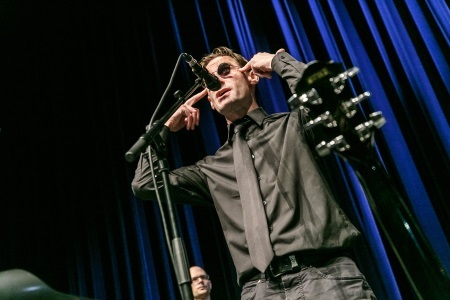 “Carl Friedrich and the Abnormal Distribution” play powerful rock ‘n’ roll music while “Carl Friedrich and the Harmonic Series” prefer more sophisticated a-cappella sounds. They’ve done it again. 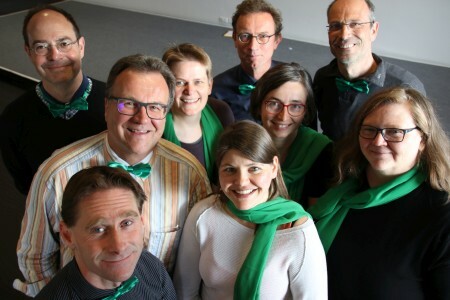 The first ICA 2018 rock band “Carl Friedrich and the Abnormal Distribution”, whose members are all actuaries, is back. The second single “Carl Friedrich Gauss” talks about the life and work of the eponymous German mathematician. We thank RGA for sponsoring the production of this video! Watch the making-of video of the first self-penned song “Getting closer” by „Carl Friedrich and the Abnormal Distribution“ being recorded in a studio in April 2017. We thank RGA for sponsoring the production of the video. ICA, ICA in the coming year! 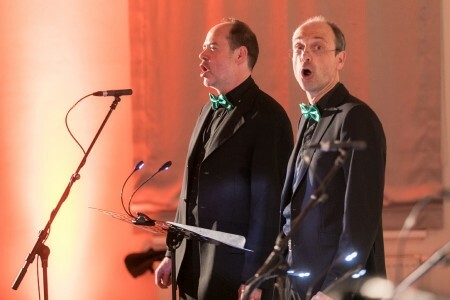 Take a look at the first music video by „Carl Friedrich and the Harmonic Series“. This special Christmas song contains the classics like “Jingle Bells” or “Snow falls softly at night” mashed up with the song “Getting Closer” by the ICA 2018 rock band “Carl-Friedrich and the abnormal distribution”. The perfect combination of songs to get into the Christmas mood and enjoy the last days of 2017. 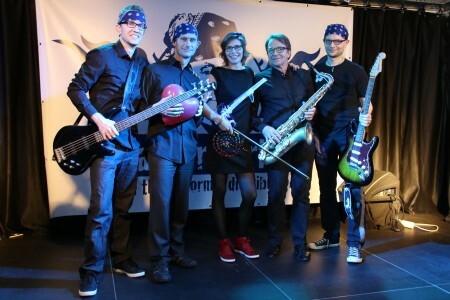 Established at the beginning of 2016, the rock band “Carl Friedrich and the Abnormal Distribution” had their debut in April 2016 during the Spring Meeting of the German Actuarial Association. 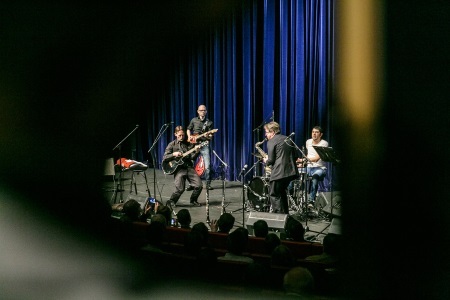 After performing some well-known rock classics, the band decided to write their own songs – about actuaries, the ICA 2018, Berlin and the great mathematician Carl Friedrich Gauss. 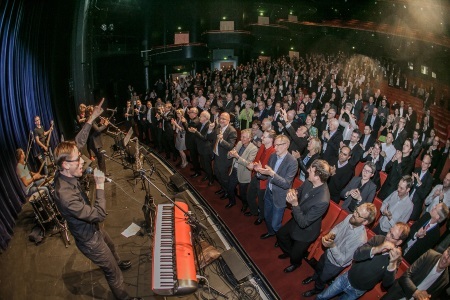 Their first song “Getting closer” was released during the Spring Meeting of the German Actuarial Association in April 2017 – and a second song will surely follow. 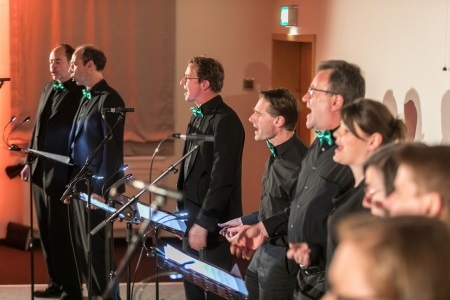 In response to the loud rock ‘n’ roll music of “Carl Friedrich and the Abnormal Distribution”, the a-cappella ensemble “Carl Friedrich and the Harmonic Series” were founded at the beginning of 2017. Until now, the group has mostly performed rewritten pop songs about daily actuarial problems, but – there is more to come.